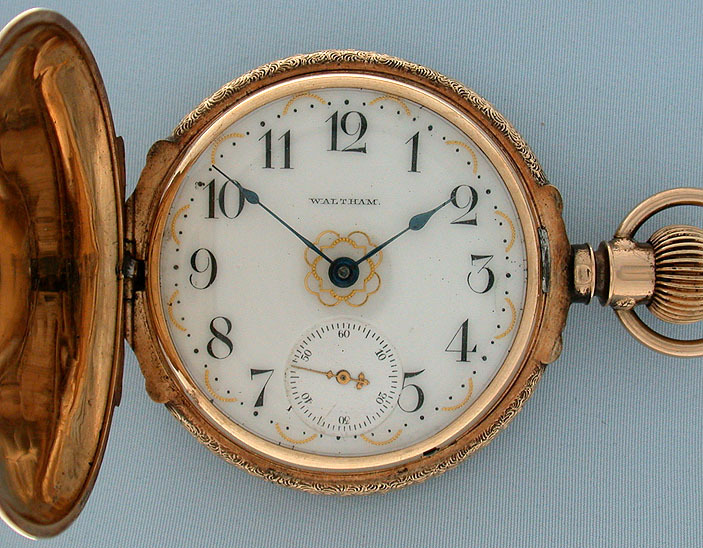 Fine Waltham 14K multicolor gold box hinge hunting case 18/S antique pocket watch with fancy dial circa 1896. 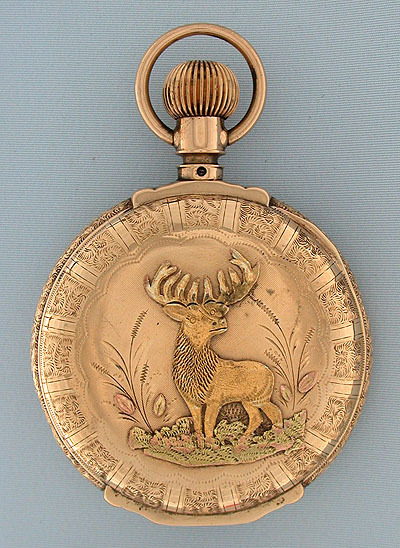 The front with a moose, the back with a shield, both within engraved borders. 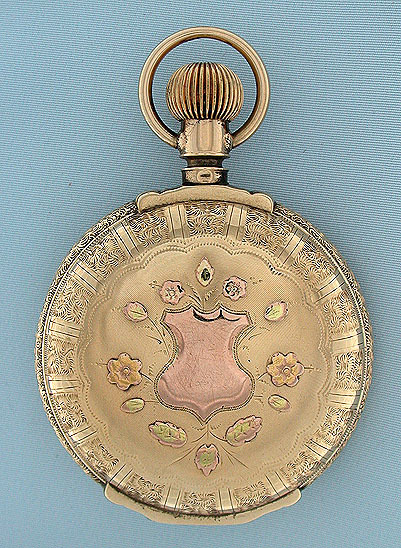 White enamel dial with gold decorations and blued steel hands. 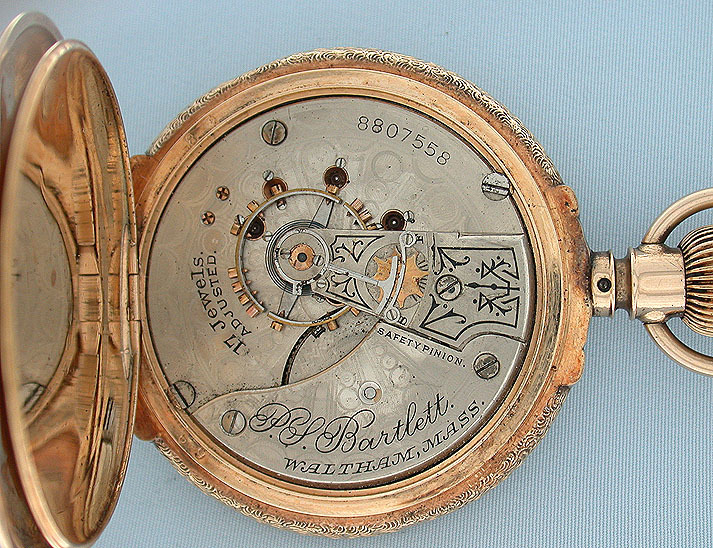 Nickel 17 jewel movement with precision regulator and screwed jewel settings.